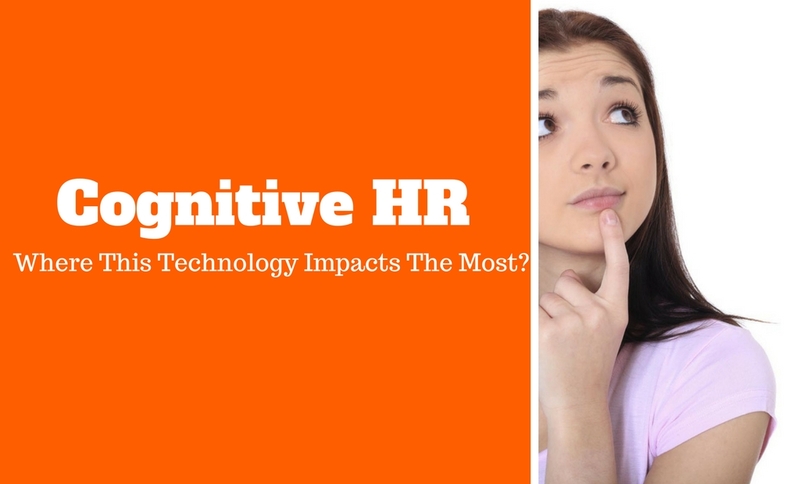 If you’re reading this article, chances are that you’re an HR professional looking to get more information about that cognitive technology everyone in the industry is talking about. Is all that buzz around it justified? It’s one thing when people talk about but a whole another one when they actually use it. In this piece, let’s finally answer all questions related to attitudes toward the cognitive HR technology and how it relates to you. And, more importantly, let’s find out that “sweet spot” – the areas where the technology will have the most impact. Is There Any Data to Support All Those Rumors About Cognitive HR? To achieve this purpose, a large sample of CEOs, senior HR executives, and ordinary HR employees were surveyed. All of them revealed their opinion about the cognitive HR technology and identified whether they used it in their organizations. How Cognitive Computing Transforms the HR Industry? These findings suggest that cognitive computing should be prioritized by HR professionals to advance their operations and find more talent in the next few years. “Given that a large share of CEOs and senior HR executives view them positively, it is sufficient to claim that cognitive solutions in the industry are set to increase significantly over the next few years,” says Scottie Harper, a senior HR specialist from Assignmenthelper.com.au. A cognitive HR system receives and processes the information in a way that we can consider familiar. For example, it looks for specific patterns in an unstructured information to retrieve the most important data. Text, images, and audio are the patterns that can be analyzed. An HR professional thus can use the system to evaluate hundreds of hours of recordings to determine key aspects based on the tone of speech, frequency of certain words, and so on. Every project processed by a cognitive HR system provides it with a lot of data. This data is added to the knowledge base, which is later used to learn the trends in the HR field. The employees of the company that utilizes a cognitive HR system can easily access this base and stay updated on the latest trends in the industry. A cognitive HR system is capable of performing a number of impressive functions when it comes to data analysis (and we know how HR struggles with data analytics). For example, it forms hypotheses, understands underlying concepts, and extracts main ideas. These capabilities will be of a great assistance to hiring managers who can use the system to compare the experience and other characteristics of different candidates and select the most qualified one. This decision, of course, will be supported by some valid data. As the result, a hiring manager can focus on performing other tasks instead of sorting through hundreds of resumes and conducting interviews with every candidate. These unique functions allow to take advantage of a totally different approach to HR – one that benefits both companies and employees and resolves many challenges faced by modern HR departments. What Serious Challenges can be Better Addressed by a Cognitive HR System? According to the answers provided by the participants in the IBM study, there are five key challenges that can be either resolved or addressed in a more effective manner by cognitive computing. Given that every challenge impacts the overall HR performance of an organization in a profound way, it’s clear that cognitive HR systems can increase productivity and efficiency. Will Cognitive Technology Eliminate the Need in Human Recruiters? No worries here, the recruiters will continue to be vitally important to the success of organizations. Although some of their roles will be picked up by cognitive systems, they still need to perform a wide range of important responsibilities, including finding and engaging passive talent, getting feedback, negotiating offers, acting as brand ambassadors, motivating candidates, and many more others. So, What Is the Cognitive Sweet Spot? Given that CEOs and HR professionals view the technology positively, it’s safe to assume that the industry will see an increase in its application. However, what are the most apparent success indicators – areas where the technology will bring the most benefits to the company and employees? HR professionals are faced with high volumes of unstructured information – as mentioned above, cognitive computing can interpret it effectively and define patterns of the most important characteristics and trends. HR professionals need to make highly complex decisions supported by large volumes of data – given that making these decisions typically requires considering a variety of inputs, using a cognitive system will speed up the process. The expected decisions have to highly personalized and customized – this requirement is needed to meet the needs of a diverse workforce. HR professionals need to frequently interact with the colleagues – such interactions typically involve large volumes of data. According to the study, there are three areas in which these scenarios are present. Therefore, the cognitive computing should improve decision making in them: HR operations, talent development, and talent acquisition. It is clear that the introduction of cognitive HR systems is just a matter of time. So, it’s reasonable to begin thinking about how you could integrate them into your own HR decision making. By incorporating cognitive computing into daily operations of your company, you can obtain a significant competitive advantage in terms of attracting new talent and making HR operations more efficient. About Author: This is a Guest Post from Lucy Benton. she is a marketing specialist, business consultant and helps people to turn their dreams into the profitable business. Now she is writing for marketing and business resources. Also Lucy has her own blog ProWritingPartner where you can check her last publications. If you’re interested in working with Lucy , you can find her on FaceBook and Twitter. Next articleHow to Give Self Introduction in Interview Easily?